"I had always thought of yoga as something I never could have done..."
At the first sighting of an aqua yoga class, a chuckle or a shake of the head might be one’s reaction. It might elicit questions as to how these maneuvers and postures could be of any value. Well, I am here to tell you, they are of great value. After having major back surgery (scoliosis repair and multiple disc fusions) in 2009, I made it a priority to continue exercising to improve and maintain flexibility. I was involved in a vigorous aqua aerobics program and did quite well keeping up, however, I began to experience increased fatigue and pain after each class which caused me to eventually throw in my beach towel. I even stopped doing circuit machine exercise as these, too, were counterproductive for me. I essentially stopped exercising and became more and more depressed about not finding the right exercise program for me, and, I started to lose my flexibility. That was until I heard about aqua yoga from an ad on a phone app called Nextdoor. I decided to investigate. It was intriguing to me as I had always thought of yoga as something I could never have done before back surgery and most certainly didn’t think I could do it after due to the limitations the hardware in my back caused to my movement. What was this thing called “aqua yoga?” Among the descriptors of the class I was considering were words such as: “little to no impact on joints,” “improving balance,” “muscle lengthening and organ toning,” “strengthening of the pelvic floor and deep core muscles,” “increased core awareness,” “releasing tension” and “soothing the nervous system.” That sounded very intriguing to me! 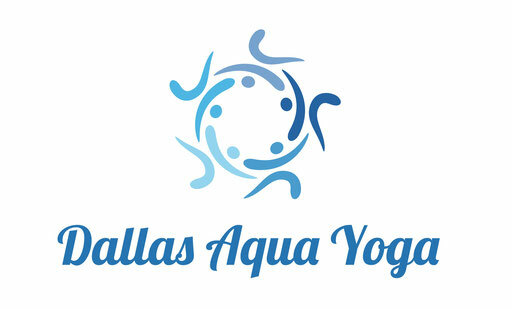 So, in March of 2016, just after turning 55, I tried my first aqua yoga class at AquaFit Plano and was hooked! The testimonies of the other students and the fact that they were very committed to the practice was very motivating. I began to learn about the positive impact of various postures to my body and the importance of breathing well. I learned that the weightlessness of the water enabled different postures and changes in body systems that otherwise are not as accessible. And, more importantly, I could sense those changes in myself. It was an answer to prayer that I had found an exercise program that after participating in I felt relaxed and pain free instead of depressed and fatigued. It wasn’t long before I tried a restorative (land) yoga session and then a gentle yoga class.  I now pair the land and aqua yoga programs, led by the same amazing instructor, Sandi Tindal, each week and love seeing the crossover of the postures and knowledge I am gaining. This knowledge carries over into my daily life as I am much more aware of my stance, posture and breathing. I feel that my flexibility is gradually improving, as are my breathing capacity, strength and balance. And, I’ve learned that yoga is true exercise and can work up a sweat! Finally, the comraderie of and the example set by my fellow yogis keeps me inspired. The benefits to me personally of aqua yoga were so great that I encouraged a friend to join me. The improvement in a chronic back pain she was experiencing was nothing short of a miracle! I cannot give enough accolades for this not yet widely known practice called aqua yoga. It has changed my life and I hope it will yours! Namaste! "People ask if I've lost weight as my muscle tone has improved so much." I have had osteoarthritis for about 30 years and have been in aqua aerobics for many years. It has helped me to stay mobile and avoid replacement surgery. When Aqua Fit added a Aqua yoga class I was hesitant as I did try land yoga and found it too hard to get up from the floor and I much preferred the water aerobics, however I decided to go to the class when it was first offered. Now I attend almost every class! My reason for trying it is I have trouble with balance and at my age it is very important not to fall. I have seen significant improvement in both balance and strength. Also, people ask if I've lost weight as my muscle tone has improved so much. I highly recommend Aqua yoga to anyone of any age who is interested in remaining healthy and strong as they age. "After several surgeries for ruptured disks...the pool does wonders for taking care of my back." Darcy is able to practice a wide variety of poses despite having several surgeries completed for ruptured discs in her back. From left to right: side angle pose with the feet at the pool wall, tree pose, wide angle seated pose with feet at the pool wall and standing pigeon pose with twist. I had never practiced yoga before trying Sandi's aqua yoga class. I learned about Aqua Fit of Plano from a newspaper article in the Dallas Morning News about a teacher I knew. She mentioned how much the pool had helped her. I was so excited to try out the warm saltwater pool myself after retiring from teaching school a few years ago. It's worth the 40 min. drive each way to me! I started with aqua aerobics and aqua circuits, as well as swimming laps. When Sandi started teaching aqua yoga I was ready to try something new. I had never done yoga before, and now I take two land and two water yoga classes each week! I find it is very good for strengthening my core, balance, posture, loosening tight hip flexors, increasing flexibility in my shoulders, and also alleviating back pain. After several surgeries for ruptured disks, and then more physical therapy and chiropractic care, the pool does wonders for taking care of my back. Aqua yoga is also good for the mind. It is very calming to focus on the present and on breathing mindfully. Floating in the water with an inspirational song is a great way to rest after the hard work! I always feel relaxed and refreshed after my aqua yoga practice. Sandi Tindal is an awesome teacher, and I'm so thankful to be her student in my late 50's after being a Kindergarten Teacher for 25 years. She inspired me to take the Aqua Kriya Yoga Teacher training myself in February. It's never to late to learn something new, and it's fun to try new things!! "We support, encourage and laugh each time we are together." I started with aqua water classes two years ago. Accomplishing movement in the water came easily for me. I decided to challenge myself by signing up for land yoga with Sandi. Needless to say it was a learning curve for my body and my mind. Sandi is the one teacher I have experienced who looks at your body and its movement. She then tailors her lesson to those observations. The issues I deal with are neuropathy, plantar fasciitis and spinal stenosis. When Sandi announced to our class that aqua yoga would be provided at AquaFit I was ready to follow her to my next experience with yoga. I learn something each time I attend. We work on balance, strength, breathing and calming your body and mind. I have enjoyed the community of women who also attend. We support, encourage and laugh each time we are together. I will continue to attend these classes so I will be strong and have the balance to keep up with my five grandchildren and their parents. I am entering my 70th year on this earth and want to be prepared as much as possible for feeling solid and strong in my health and my mind. "I am still learning things about breathing and my body every day and feel empowered when I can recognize what's happening." For an upcoming knee replacement, I wanted to help strengthen those muscles around my knee and legs. Aquafit offered so many different water classes so it seemed to be the place for me. I started with the Move to Renew classes and one day I decided to try the water yoga. I had never thought much about yoga and with both knees in bad shape I knew land yoga wouldn't be a good option. After my first yoga class I was hooked. I never knew water was so forgiving and aqua yoga could be so fun and also informative. I discovered many things about my body, such as balance, breathing and much more. I opted to take some private lessons on the healthy way to breathe from Sandi before my surgery, and I felt great on surgery day knowing I really learned how to be in control and mindful of my breathing. I am still learning things about breathing and my body every day and feel empowered when I can recognize what's happening. I try to never miss a class because I enjoy it and the lovely ladies that form our community. I take the aqua yoga and the low to moderate aerobic classes and I feel they compliment each other and are very different as well. I'm so glad I decided to try aqua yoga. To anyone considering it, just come to a class and see for yourself. "This class keeps me limber and clears my head of minutiae." Aqua Yoga – I love it! Never having done yoga before I did not know what to expect. What a wonderful class this is! I’ve only been experiencing and learning Aqua Yoga for a few months. Sandi is a wonderful teacher – she knows so much about the human body and how it is supposed to work. Plus she makes the class so enjoyable that the time flies. The participants are a close, friendly community that I’m still getting acquainted with. My reason for attending Aqua Yoga classes is simple: I take medication that causes arthritis and now have lots of creaky days. This class keeps me limber and clears my head of minutiae. I’m learning how to breathe properly and how to stand properly. My balance has improved as well. And I can practice all this anytime anywhere! I have 9 very young grandchildren and now have less trouble playing tag with them. Picking up one of the little ones is easier as is getting up off the floor - I can’t say enough good things about this experience! Love Sandi’s Aqua Yoga class! After several months I am so much stronger, more limber, and better balanced. When I started Aqua Yoga with Sandi last spring I used the lightest noodle and my plank was often more horizontal than diagonal! Now I’m able to use the thicker noodle and whatever she directs I am able to do with little or no floating. My torso is stronger and I stand straighter and my balance is much better. The class time goes quickly and is very enjoyable and the quiet floating at the end of class is so relaxing. Thank you! After 65 years, I never dreamed I would like water yoga! All that changed when I met Sandi. Sandi has been a true inspiration for my body and soul. The calmness of yoga has helped me fight against stress and anxiety, which is getting me closer to stopping my blood pressure medication. Sandi has helped me work on gaining balance, which in turn has helped me avoid falling, which I have done several times in the past. Water yoga and Sandi have been an answer to prayers. I consider myself very lucky to be in such good health at 65 years old. My only issues are degenerative disc disease in my neck, and occasional sciatica. I am not bothered by them very much, I know my limitations ( most of the time...). They are the result of my years in nursing, which were before the advent of hoists to lift patients- the nurses were the hoists back then! I love aqua yoga (I am Pisces, the fishes). The water challenges and supports at the same time, and I do feel wonderfully relaxed at the end of class. I remember...beginning to realize that I'm not as good at relaxing as I thought. Have been working on that by practicing slow and deep breathing. Of course, having a teacher with such a relaxed manner and soothing voice is a major plus. Am so glad I agreed to go to class with Hannah. More inspiring stories from our student community coming soon!! !